Another pair of Inov-8 Lightweight running shoes, these ones were purchased to replace my Terrocs. I have brought together all of the reviews I have done of these shoes, that have previously been published in various posts in my Walking Diary. I did my first walk yesterday in my new Inov-8 shoes; the Roclite 315. Tex and I took a walk through Langdale, along the Cumbria Way, up Rossett Gill to Esk Pike and Bow Fell, along The Band and back. Anyone who knows this area will be aware of how rocky it is and how stony the paths are. This is traditional big walking boot country – supporting those ankles and cushioning the feet from the punishing surface beneath the soles. 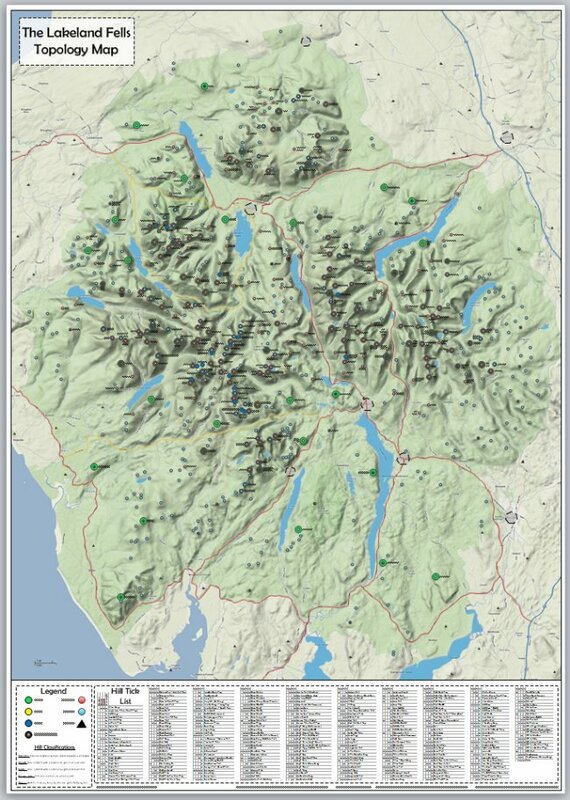 My old Inov-8 Terrocs would have left me with sore feet after finishing this route; I have discussed this elsewhere and cover it in more detail again in my imminent West Highland Way journal. 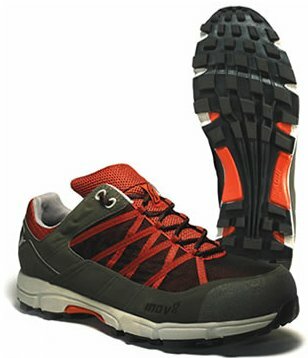 The worse of two problems with the Inov-8 Terrocs was the lack of protection from stony surfaces. As you may have guessed this is not the case with the Roclites. Despite being lighter than the Terrocs (my own weights show the Terrocs at 410g per shoe and the Roclites at 366g per shoe) they have a much better sole when it comes to separating your foot from the stones beneath. I received as much prorection in these as I get in my heavy three season Scarpa boots. The second issue I had with the Terrocs is common to all trail shoes, I’m sure, and that’s the amount of debris that gets into the shoe during the course of a walk. The Roclites are of course, no better and no worse than the Terrocs in this area. For me it’s something I have come to accept. I may have to stop once or twice on a walk to remove a stone that’s crept in over the top of the shoe, but taking a shoe off and on is much quicker than doing the same for a boot. If it’s a real problem for others then Inov-8 have produced a product called the DebrisGaiter that fits over the shoe and protects it from grit and small stones. The shoes were instantly comfortable, I got a slightly larger size than I needed, to allow for a technical sock and this worked well. I completed the walk without any discomfort in my feet at all. No hotspots and no sore spots. The only downside to these shoes at all is the colour of them. They aren’t exactly subtle. But then when you’ve got a product as good as this I guess the manufacturer is could be forgiven for drawing attention to them. I expect to see a lot more orange shoes on the fells in the future. Well done Inov-8. I thought it may be worth just adding a short trail report of these shoes now that I’ve managed to wear them for a long weekend. My pack weighed about 10Kg without water, so about 11.5Kg for most of the first day and a little less for the second day once I’d eaten most of the food I was carrying. The terrain was typical Lakeland; mostly good stony paths, but also plenty of grassy paths and boggy sections thrown in for good measure. The first thing I have noticed is that the Roclites keep the water out a little better than the Terrocs did. They seem to have a slightly higher sole bed than the Terrocs and therefore when you’re walking across marshy ground you can get away with slightly damper conditions before the water comes in over the sole bed. They are much more comfortable as well. I mentioned this in the last report, but I will say it again. The protection from stony surfaces is much better in these shoes. Even though I was carrying a heavy pack I never felt the stones and rocks through the soles. I never felt like I was unsupported and was always confident with them. Aftr 12 miles and a long climb my feet felt brilliant, there wasn’t even the slightest hot-spot anywhere. I often get a hot-spot on the end of the second toe of each foot, especially after a descent, where the toe seems to have been rubbing on the front of the shoe or boot, but with these there was not even that discomfort. They are remarkably comfortable. The only slight issue I had with them was when the sole of the shoe is wet, they tend to lose traction a little more than I would expect them to. I found myself slipping on rocks I wouldn’t normally expect to be slipping on. This meant that I had to slow down over wet rocks and be careful about where I was placing my feet – maybe this was due to the unusual weight of the pack I was carrying, but I will need to keep an eye on this. I am very excited about these shoes as you can tell. I’ll be sorry to retire them in the next few weeks as winter approaches and I return to my boots. I only hope they last a little better than my Terrocs did. I just wanted to post a quick note extolling the excellent customer service I received from Inov-8 recently. I’m quick to lambast those kit manufacturers and stockists that seem to make it their life’s work to make things difficult and awkward for us customers, so it’s only fair that I should blow the trumpet in praise of one that goes that little bit extra to help us. In the past I’ve had a pair of Inov-8 Terrocs and I loved them. In fact I loved them to death. 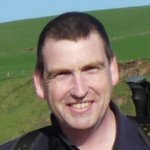 I wore them a lot, on a lot of walks, over boggy ground, over rough ground, over the toughest ground possible – the West Highland Way – I basically wore them into the ground. The heel started flapping one day and then next day the sole broke in two and I laid them to rest in a peaceful corner of my wheelie bin. I decided to try a different pair next time and I bought a pair of Roclite’s in August last year. These I also wore quite a lot, although not so much as the Terrocs, but simply because of the time of year. We had no summer from August 2008 onwards and it was winter boots for me, from October to March, so they were used sparingly. Despite this, one of them started to shed parts of its sole, the little lumps started to peel away – not catastrophic, but obviously not right. Then the place that my heel sat in the right shoe started to wear alarmingly and this gave me a sore heel at the end of any kind of lengthy walk. I decided that this wasn’t right at all and took them back to the place I bought them. It had only been 6 months or so that I’d had them and I’d done next to no mileage in them, but I thought I’d better take them back now rather than continue to use them and possibly run out of warranty. The shop were great (The Adventure Centre in Warrington, sadly no longer in business), they returned them to Inov-8 and just over a week later I got a call from the shop saying that they’d been sent a new pair in replacement. I was quietly impressed. The wear on the shoes could be construed as fair wear and tear by a more miserly manufacturer, but Inov-8 just sent me a new pair. Many thanks Inov-8. I still have concerns about the longevity of Inov-8 shoes – they are light and comfortable, but I just don’t think they are made to last. I don’t know that I’ll be buying another pair, I’ll have to see how I get on with these new ones. The Terrocs lasted about 15 months and then fell apart, the last Roclites may have lasted the same length of time, it’s hard to tell. At £50 – £60 a time, I don’t know that I can justify the spend every year, despite how good they are. 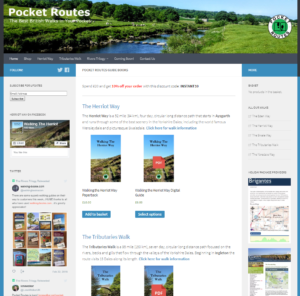 I plan on using the Roclites on as many days as possible during the C2C walk which I start in a couple of days – I will feedback experience as I go along. A few months ago I wrote a short review on the great customer service I received from Inov-8 (see here). The customer service was required because the Roclites I had bought 6 months earlier had started to fall apart. The soles on both shoes were shedding tread and the lining of one shoe, where my heel sits had frayed alarmingly and was rubbing at my heel when I walked. I returned them to the shop and they were replaced within a few days. Great. Unfortunately, the replacement pair have fared no better. The sole seems to be a bit more resilient, in fact that has not shed tread at all this time, so perhaps they’ve fixed that problem, but the heel liner is now worn on both shoes, in exactly the same place and causes me some discomfort on long walks. I doubt they will see out the summer months. I am, to say the least, a little disappointed in them. I could probably take them back and have them replaced – but to be honest I don’t think I want another pair of Inov-8s, not even if they’re free. They promise so much and deliver frustratingly little. I know they are lightweight shoes and therefore, by nature, they are not going to be as robust as traditional boots or walking shoes, but this is ridiculous. I have worn through two pairs of £60 shoes in under 12 months. In fact, if you remove the winter months where I was wearing my leather boots, it’s actually much less than 12 months. I won’t be buying any more Inov-8 shoes – I’m now looking elsewhere for lightweight shoes or mid-cut boots for next summer. I may have to dust off my Scarpa boots before the full winter walking arrives, as I don’t think I’ll be getting many more miles from the Roclites. The question now is; Salomon? Merrell? TNF? As a matter of fact, I have heard of lots of people who now walk in trail running shoes, in fact the Roclite 315 seem to be one of the more popular shows for this. They are just so much lighter than boots or even walking shoes. I am curious though – did the third pair you bought suffer the same fate, and did you carry on buying them? I’ve used the new Roclites extensively on local walks, but not done enough mileage in them yet to see any degradation of the heel cup. I didn’t use them on the Southern Upland Way as I was planning, preferring to use my very comfortable Salomon boots instead. With a summer of walking ahead though I expect to start using them on day walks soon. I’ll keep you posted on how they perform. Thanks. I am thinking of getting a pair of these. For what it is worth, I agree with you that £50 is about the right price. I have seen the 2012 models at this price occasionally online, now that the new 2013 models are available. I was slightly confused by the huge variety of models that Inov-8 make, but having looked into it a bit, now that the new 2013 Roclite 295 has less cushioning, I believe the choice is between the Roclite 315 and the Terroc 330 as the models most suitable for lightweight walking shoes. My impression is that the Terroc is a more general-purpose shoe, while the Roclite is better for rough ground. This seems to agree with your comments above. One question – elsewhere on the web I have seen that Inov-8 shoes tend to be sized a little bit small, so that it is best to get half a size bigger than normal. Do you agree, or do you think I will have to try them on in a shop? I hate doing this when I fully plan to buy them online. Well so much for the last statement on that post. I’ve just purchased another pair of these Roclite 315 shoes. I refused to buy until they were the right price though. I think £50 is reasonable for a pair of shoes that aren’t going to last much more than a year and with the judicious use of Duct tape I’m reasonably sure I can coax another season out of them beyond that. I loved the feeling of freedom when I used them – the ability to wade streams without worrying about wet feet all day in wet boots. Their lightness is also a huge draw and I’m hoping to use them on the Southern Upland Way in May. I may well post another review update after that…..
Just a little confused as to why you are using trail running shoes for long(ish) walks. They are NOT designed for this type of use at all. Nick, thanks for taking time to comment. What precludes them from being used on long walks?